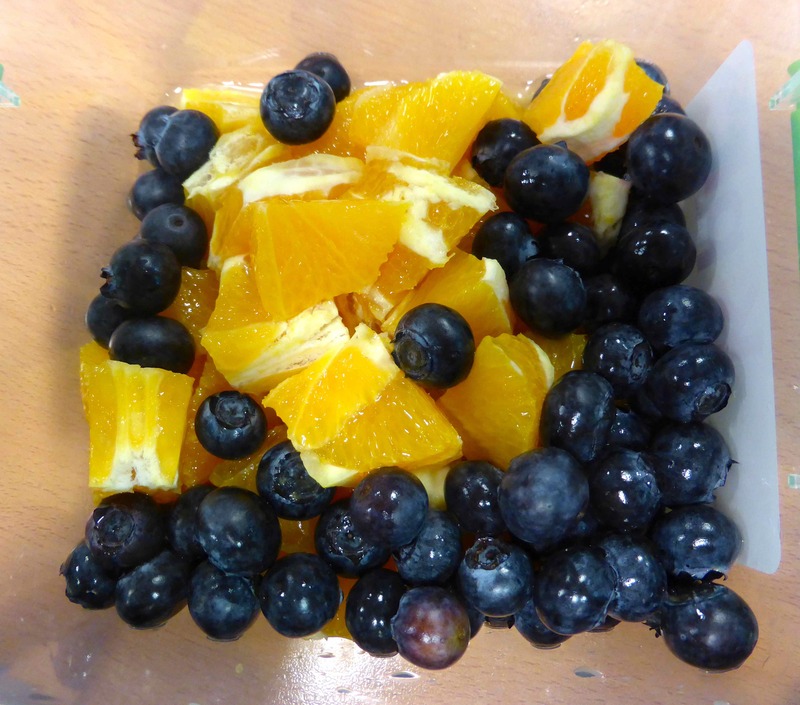 I was very hungry this morning and my fruit salad (3 small oranges and some blueberries) was not quite enough. 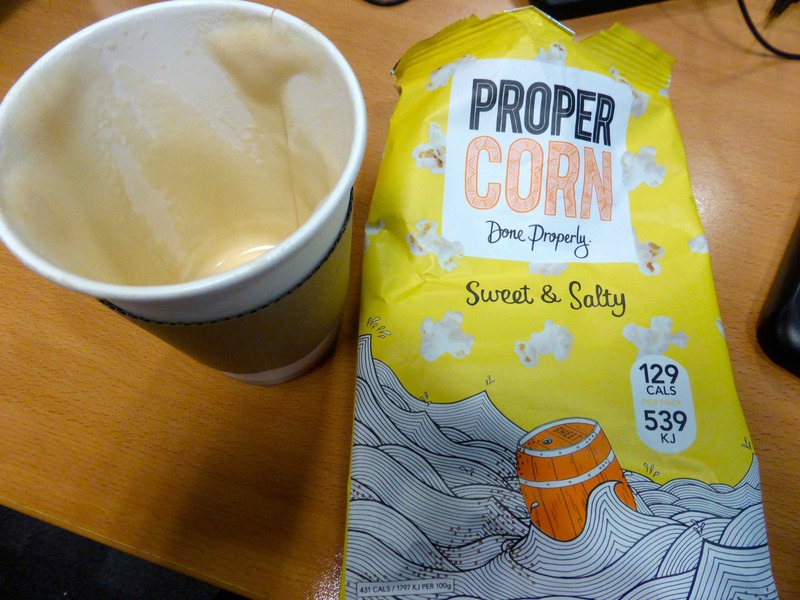 A soy milk latte and bag of popcorn kept me going until lunch time. I went out for lunch with my colleague Owen. 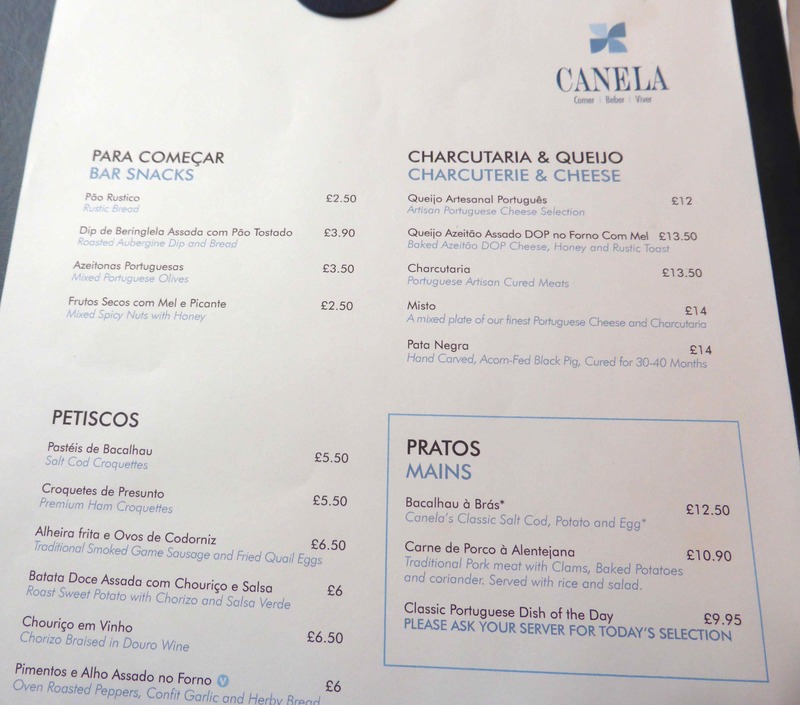 He recommended a Portuguese restaurant, Canela at Seven Dials. The staff were very friendly and helpful and we went with their suggestions for what to eat and looked at their salads on the counter. I had a glass of freshly squeezed orange juice. 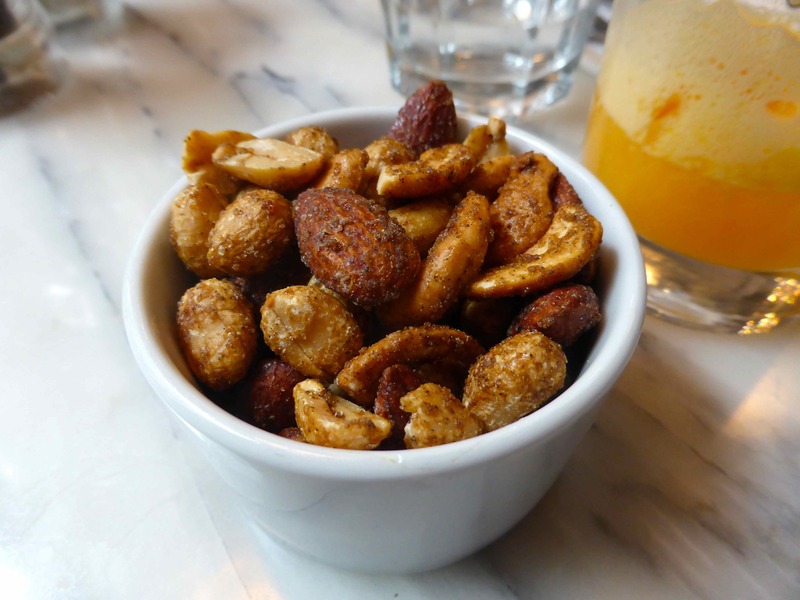 Some mixed nuts. 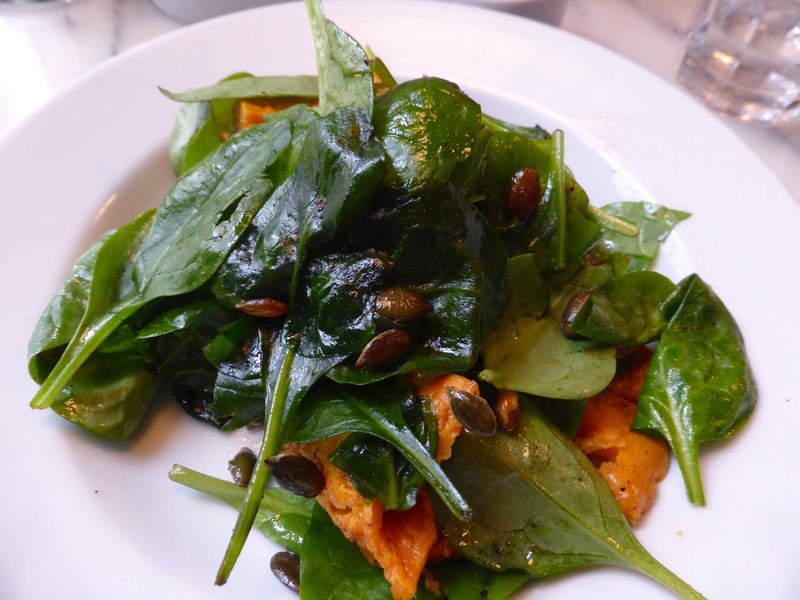 A delicious salad made with spinach leaves, pumpkin seeds, sweet potato and a honey and cinnamon dressing. This was really good. 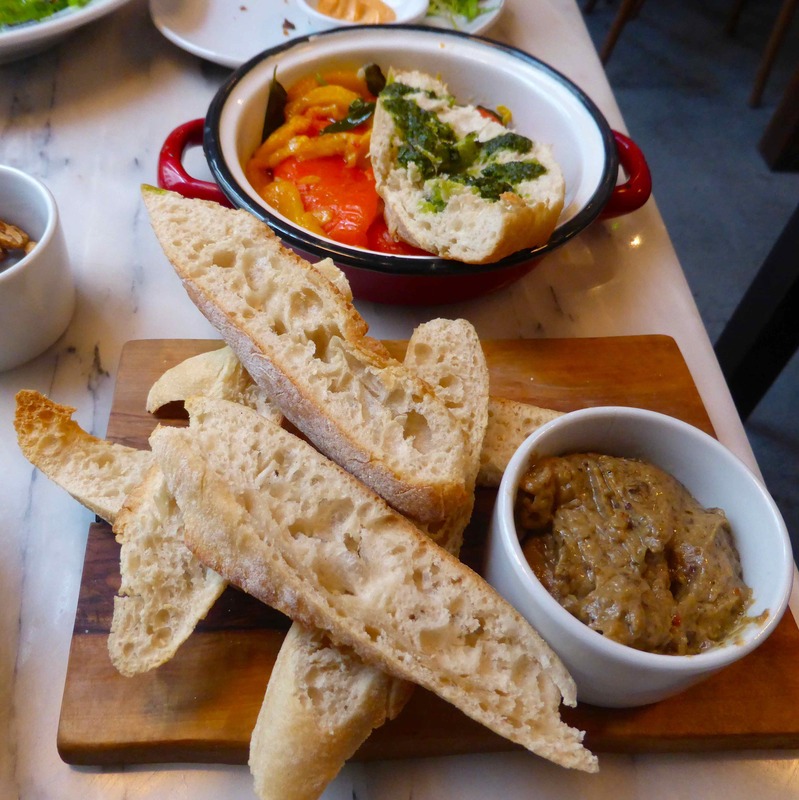 Roasted aubergine dip with “rustic bread” and some roasted peppers. It was all delicious. I managed about an hour of gardening when I got home; watering the garden and planting out cauliflower and lettuce seedlings. It was very pleasant out there. 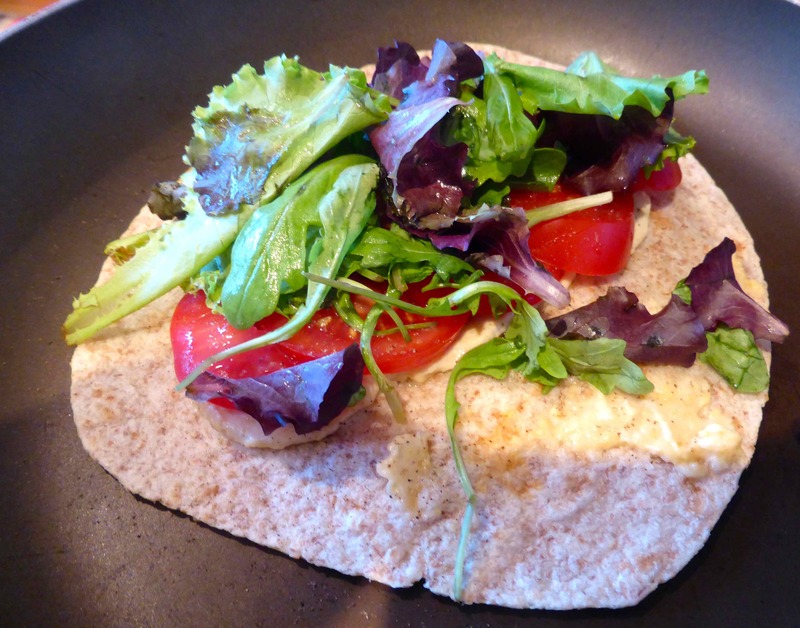 I had a very simple supper of a wholemeal wrap, humous, tomato and lettuce leaves. 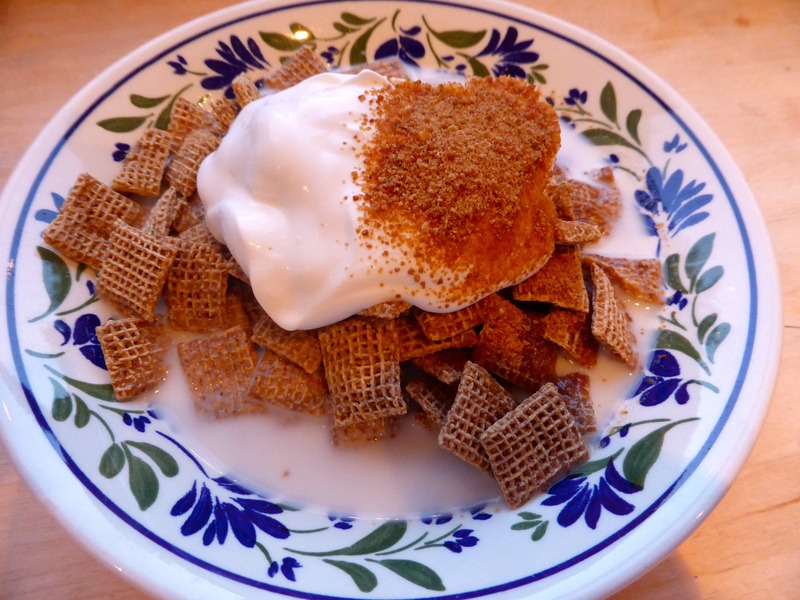 It wasn’t quite enough so I also had a large bowl of Shreddies with Hemp seed milk, coconut yogurt and coconut sugar. That was a fantastic lunch! 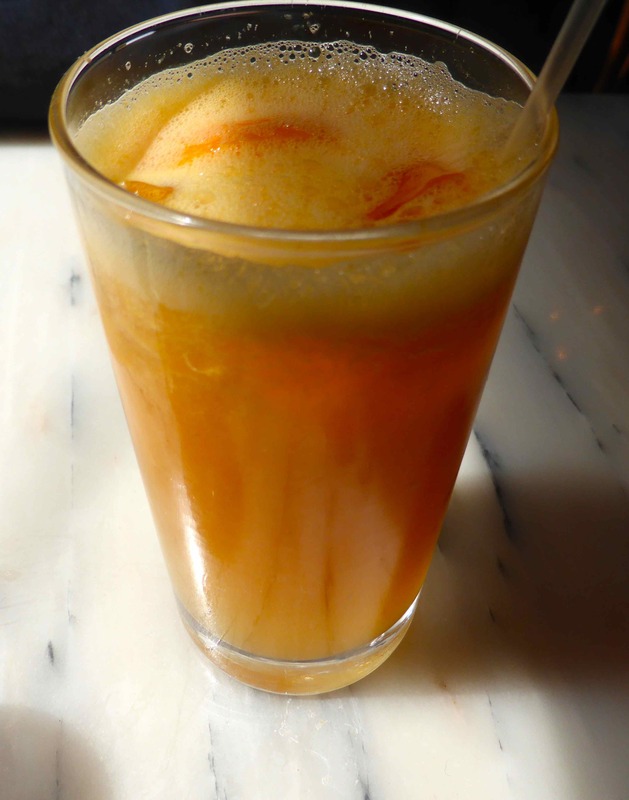 This entry was posted in Uncategorized and tagged Canela, Fruit, Oranges, Portugal. Bookmark the permalink.